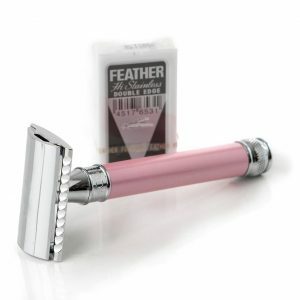 This beautiful Edwin Jagger Rose DE Safety Razor Pearl Effect is designed for women with a long handle, stylish design and exceptional quality. 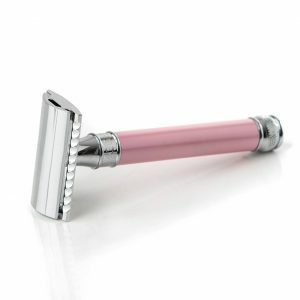 This Edwin Jagger Rose DE Safety Razor that has been designed for women. 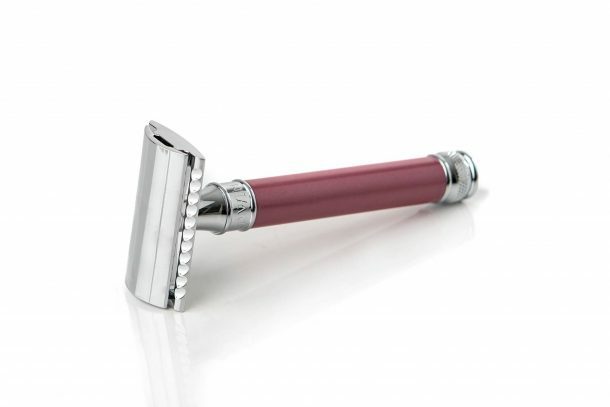 This Edwin Jagger rose safety razor is for women who are looking for a clean and effective traditional wet shave in a colour to match their style. 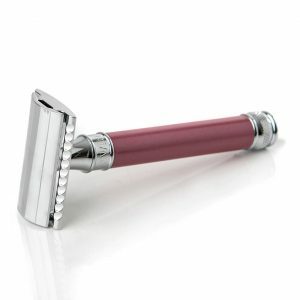 A longer handle on the Edwin Jagger Rose DE Safety Razor helps provide an enhanced reach when shaving those more challenging areas. 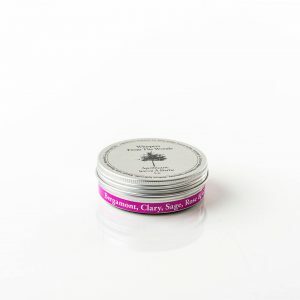 There is a choice of four beautiful new pearl-effect colours. 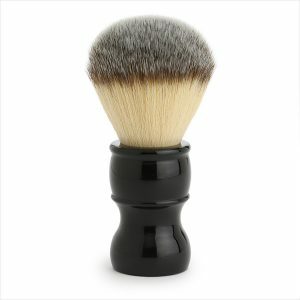 This results in a smooth shave with the colour of your choice in superb style. 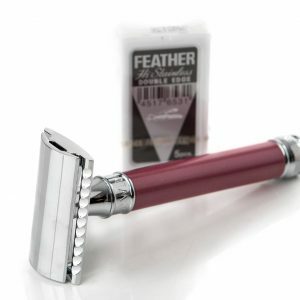 These DE razors are fitted with a precision Edwin Jagger DE blade head, because these have been considered a favourite amongst experienced wet shavers. 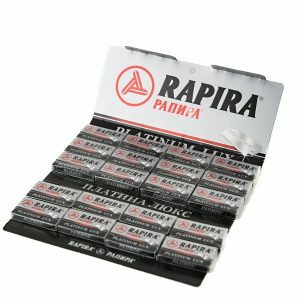 Most noteworthy, is that the closed comb head is precision engineered and is finished with a high quality chrome plate. 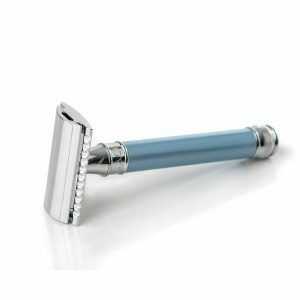 Especially relevant is that all Edwin Jagger Blue DE safety Razors are hand-assembled. 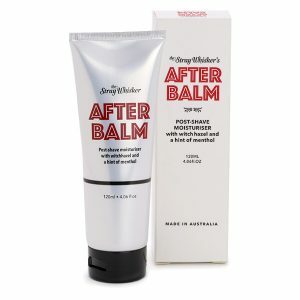 In addition, they are finished in the Edwin Jagger factory in Sheffield. They come well presented in lovely packaging. 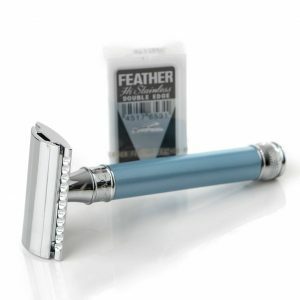 First of all, a safety razor is a razor that has a bar or protective device. Since it is positioned between the blade and the skin only a small amount of blade is exposed. 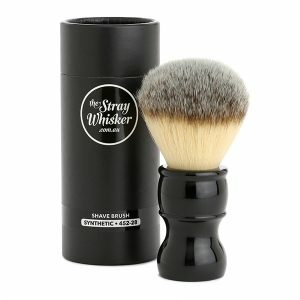 The initial purpose of the bar or device was to protect the person shaving by reducing the level of skill required to shave. 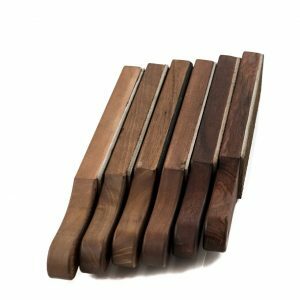 In addition there are variations in the razor head designs. 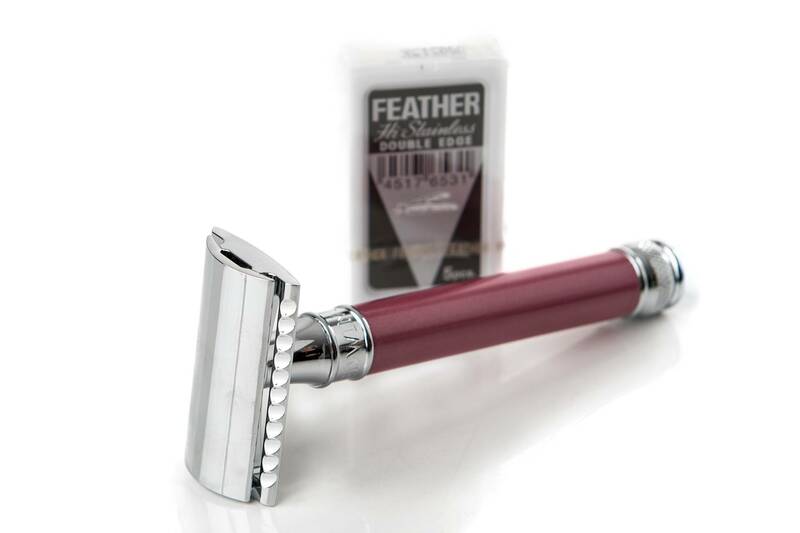 These include the straight safety bar (SB), open comb or toothed (OC) bar, adjustable razors, and slant bar razors. 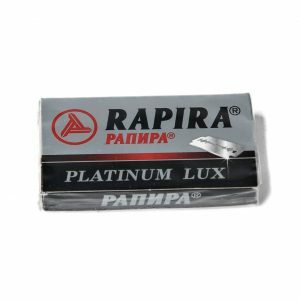 Furthermore even though they were previously considered old school, double edge razors have become popular again in recent years. 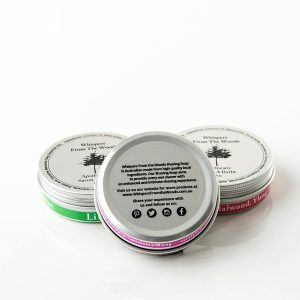 As a result there is long term cost savings, sustainability (the ability to recycle the blades) and for some, less irritating shaves.